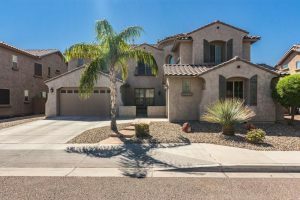 Commercial & Residential Service throughout the state of Arizona. Our specialists uphold strenuous criteria of expertise and receive updated training on all makes and models of cooling equipment. Clear Air Conditioning & Heating adheres to proven effective strategies to optimize the operation of all makes, models, and types of heating equipment. As a certified IQ Air® dealer Clear Air Conditioning & Heating provides medical-grade air purification for your home. 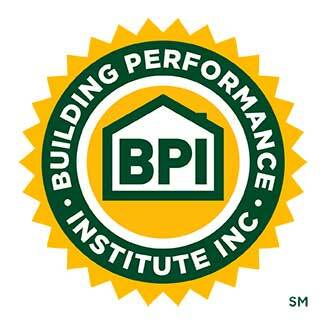 Our certified technicians are well-versed in all makes, models, and types of commercial heating/cooling systems and prepared for all challenges. 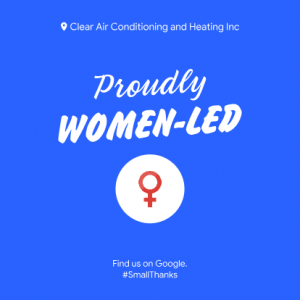 Clear Air Conditioning & Heating serves your residential and commercial HVAC requirements, bringing higher standards of quality to Peoria, AZ and surrounding areas. Whether you are in need of new design/installation, replacement, regular maintenance, or repair, our qualified team is well-versed in a broad range of equipment, technology, and strategies, ensuring peak value from your energy dollar. From temperature control and indoor air quality to sheet metal fabrication, all jobs are completed to strict standards of integrity, including quick turnaround and long-term reliability. As a certified Trane Comfort Specialist, Clear Air Conditioning & Heating upholds rigorous criteria for ongoing technician training, business ethics, and customer satisfaction. We are prepared to resolve any challenge, and tailor recommendations and solutions to maximize efficiency, safety, dependability, and comfort. Call the trustworthy team from Clear Air Conditioning & Heating for all your A/C & Heating services! 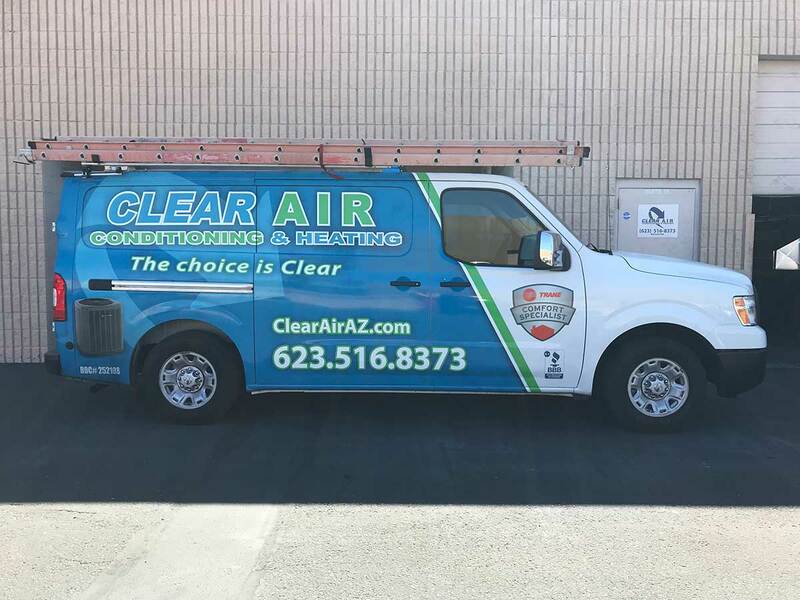 Clear Air Conditioning & Heating maintains MTCAZ (Mechanical Trade Contractors of Arizona) membership and is a certified IQAir Authorized Dealer. Our in-house sheet metal fabrication shop allows for faster service, same-day installation, and custom ductwork. Contact Clear Air Conditioning & Heating at 623-516-8373 anytime. Along with convenient scheduling, we offer 24/7 Emergency Repair throughout Sun City, Peoria, Glendale, Deer Valley & Arrowhead Ranch, AZ. *Includes: Checking all safety components, all electrical components, check amperage on all motors & compressor, check fan blade, coil fins, test contactors, test capacitors, and more. Valid through April 30, 2019. Residential Only. *Includes: Checking all safety components & all electrical components, check amperage on all motors & compressor, check fan blade, coil fins, test contactors, test capacitors, cleaning the outdoor coils, and clearing & flushing condensate. *Includes: Checking all safety components & all electrical/gas components, pressure relief valve, tank, flame sensor, water lines, and more! *Does not include tankless water heaters.